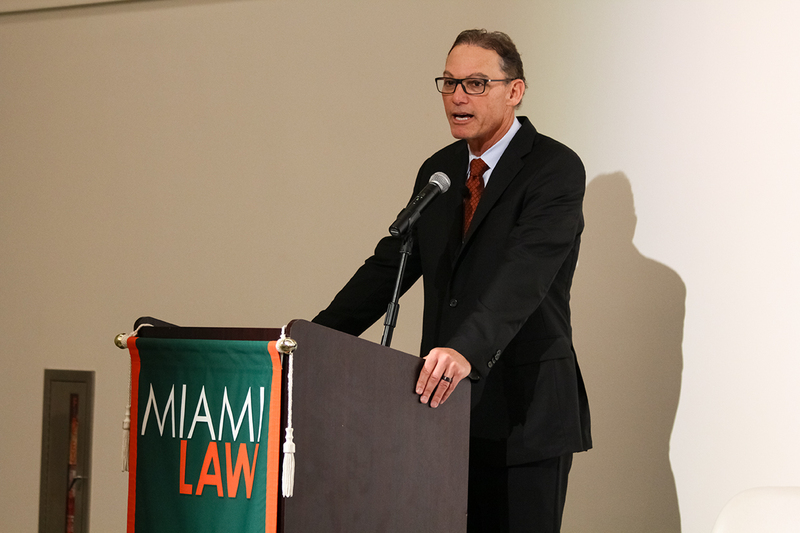 University of Miami School of Law and the American Bar Association held a two-day-long legal symposium on the worlds of film, music, television and sports on Thursday and Friday. The conference featured a host of big-name speakers including Marc Trestman, offensive coordinator for the National Football League’s Baltimore Ravens; Tom McMillen, executive director of NCAA Athletic Directors Association; and Peter Dekom, who was named one of the top 100 lawyers in the US by Forbes and dubbed one of the 50 most powerful people in Hollywood by Premiere Magazine. Dekom talked about the evolution of the television industry and its various legal aspects, specifically noting the changes technology has had on the television industry. Dekom went on to draw out what the effects of the dying TV industry would be on the lawyers of America and said that with a diminishing TV market, it will become more and more difficult to satisfactorily represent TV industry clients. Other topics at the symposium were issues of preserving confidentiality and protecting wealth for high-profile sports and entertainment clients, copyright and trademark litigation and valuation of intellectual property assets, among others. Kirk Schroder, an attorney at Schroder David PLC in Richmond, Virginia and regional chair for the event, discussed the fundamentals of advising a client in the literary world. President of eOne Music Michael Olsen pointed out considerations investors should make when evaluating music assets. More than 50 attorneys and business professionals were in attendance, as well as some interested students from UM School of Law.